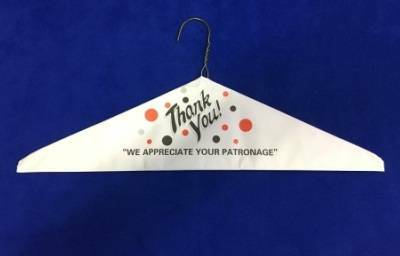 Caped hangers with "Thank You! We appreciate your patronage". This product can only be ordered by itself or with other products with the same flag. You will be charged the actual shipping costs for any orders containing these products.